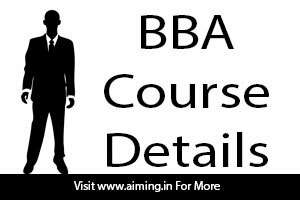 BBA Course Details - Eligibility, Duration, Fees, Application procedure, Colleges, Jobs etc. BBA Course Details: BBA is nothing but Bachelor of Business Administration, it is a bachelor’s degree in business administration. Usually, this course is done by the students who completed their 10+2. BBA is a popular course in India. Instead of doing BA most of the students are showing special interest to do BBA because they like to do any business. B.B.A Course duration will be 3 years after 10+2 as mentioned above. Practical knowledge skills will be gained perfectly to the students who completed this course which is very needed in companies where there work. 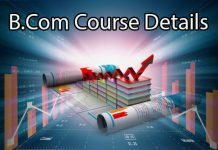 In this article, you can find all the BBA Course Details without any questions. 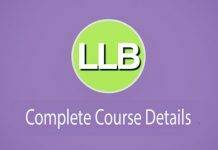 Eligibility for BBA Course Minimum eligibility for BBA is 10+2. Students who completed their 12 / HSC exams are eligible for doing BBA course. But in some cases, the minimum percentage of 50% or 60% is needed based on institutions. Most of the top 10 colleges demand a higher percentage of their marks. Most of the colleges allow the individuals who are not nationalities, by the individual’s valid passport and the student visa. BBA Course interested students can apply for online and as well as offline methods. In the official websites, you can find the respective applications. Students who are interested should be registered and clear the entrance exam for admissions. Objective exam for admission to BBA program. The questions cover subjects such as English language and reasoning test. Quantitative and aptitude exam will be conducted. On performance, a competitive test is carried out in order to select the student’s basis. Duration of the entrance test is 2 hours. You can collect course syllabus from concern’s official college or university sites in the pdf form. 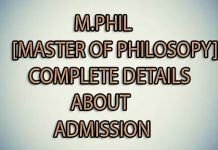 Syllabus will differ from university to university so refer the university website for complete syllabus. After completing the bba course a student can find opportunities in the following areas.